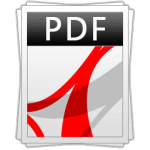 Get Acrobat Reader (Free) from Adobe. Changing careers from the public accounting and financial services business to become a resort owner has been a dream. Given the uniqueness of the Eagle Cap Chalets and my particular circumstances, there were many other hurdles as well, but Joe and Michelle guided me through them all. And now the dream has come true.